We offer fireplace maintenance for wood & gas fireplaces and other services including chimney cleaning for residents in Jackson CA, Plymouth, Pioneer, Lockeford, Amador City, River Pines, Drytown, Acampo, Herald, and the surrounding towns and communities in Amador & Calaveras counties. After the installation of your new fireplace, stove, or fireplace insert is complete, it is wise to request a detailed review of the recommended services & maintenance throughout the life of your appliance. Most hearth products require annual inspections of the appliance and the chimney and venting system, as well as maintenance cleaning. The National Fire Protection Association (NFPA) advises that you have the chimney & venting systems for wood burning appliances inspected & cleaned annually. Because hazards such as chimney fires, CO poisoning, and venting obstructions pose a danger to residents in the home, it's important that these units do not become "out of sight, out of mind.During an annual cleaning and inspection, the operation of the chimney and fireplace is checked from top to bottom to ensure that the chimney can safely function and is operating at top performance to guarantee higher efficiency. 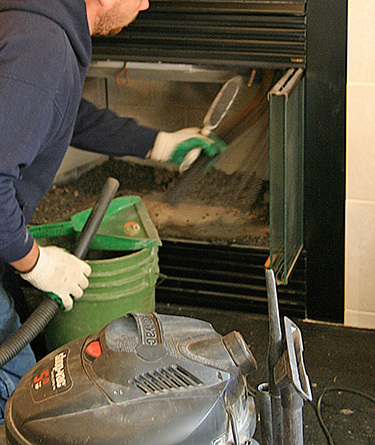 There’s no need to be concerned about a mess in your home caused by chimney cleaning. The sweeps & technicians at Sierra Hearth & Home will get the job done with care, as well as clean up thoroughly after we are done. Your home will be just as clean when we leave as when we arrived, and you can count on a fully functional, safe fireplace & chimney system. Contact us today to schedule your annual chimney cleaning and ensure the safe operation of your fireplace or wood stove. Chimney Inspections will detect problems or areas of vulnerability in your chimney system and help prevent additional damage which could end up costing thousands of dollars if left unattended. In fact, an annual chimney inspection is just as important as your yearly chimney cleaning, if not more so. 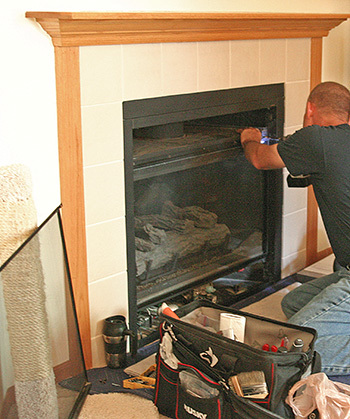 Sierra Hearth & Home’s technicians will perform a Level 1 safety inspection when they sweep your chimney. Thousands of fires in the U.S. are caused by dirty and/or clogged chimneys every year. The technician will examine the readily accessible interior and exterior parts of the chimney system and examine the condition of the fireplace and the chimney system. We offer additional levels of inspection if there is evidence of damage or if you are a new homeowner and want to know if your fireplace is safe to use. We also conduct video inspections when necessary to better examine the interior liner and other elements of the chimney to ensure the entire system, from the inside out, is in good condition before operation. Gas fireplaces don’t operate the same as wood burning appliances and although they need significantly less care than their wood counterparts, they still will require service every few years. Since gas is clean burning, you don’t need to worry about disposing of ashes or cleaning creosote blockages from the chimney, but it is recommended that you have your gas fireplace serviced every 1 to 2 years. 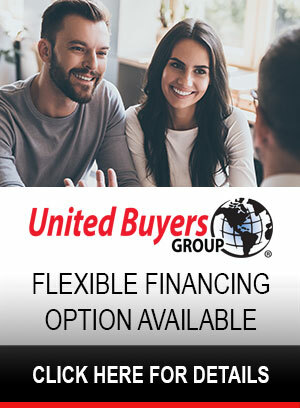 Our professional crew will inspect and clean the burner, fan, venting, pilot light and glass, and vacuum out any dust or debris that has collected in the appliance to ensure that it is working safely & effectively. Call Sierra Hearth & Home to learn more about our inspection services.